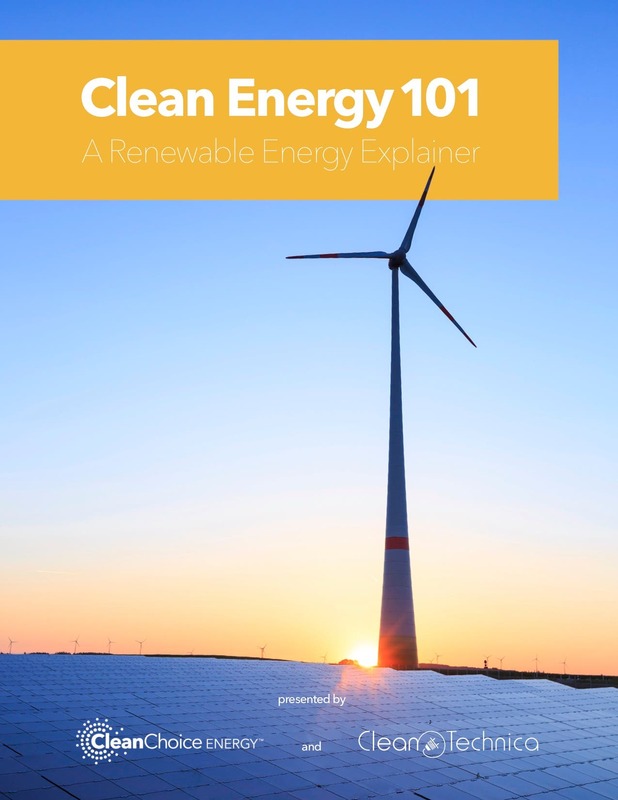 CleanChoice Energy, in partnership with CleanTechnica, has created a “Clean Energy 101” explainer that makes it easy to understand renewable energy and clean energy. In this article, we’ll look at the basics of solar and wind power, and how they’re transforming communities across the U.S. To learn more about clean energy and CleanChoice Energy, download the full explainer. The adoption of wind and solar energy is growing at an exponential rate in the U.S. and around the world. There are many other options for renewable energy–like hydroelectricity, geothermal, and bio-based gases–but wind and solar are growing quickly in installed capacity. Solar power is a broad term that encompasses any technology that harnesses energy coming from the sun. The most common technology used today to harness solar power is through photovoltaic (PV) solar cells that convert the sun’s energy into electricity. These solar PV cells are assembled into solar panels that can be installed on rooftops, mounted on the ground, or even on water. PV solar produces energy without releasing carbon emissions, and doesn’t waste water to operate, among other benefits. It’s no wonder an assortment of solar options are multiplying rapidly, from energy consumers becoming producers with their rooftop installations, to consumers having access to local solar production through community solar farms, and more. As the cost of solar panels and related solar infrastructure has lessened over the last decade, solar has become a significant part of the energy mix in the U.S.
Wind turbines (no, we don’t call them windmills any longer!) are being installed around the world at a faster rate than ever before. Wind turbines are unique options as they can be really small and localized (having just a small turbine on your home, for example), or much larger (with local wind farms producing energy for specific cities or counties). One of the most exciting hotspots for wind development is in the central U.S., in states like Texas and Oklahoma—the heart of oil country. The largest wind turbines can be massive, and are being built as manufacturers explore the full potential of wind around the world. These powerful turbines can be installed on land or far out in the sea to harness the powerful winds sweeping across the open ocean. In Denmark and even in the U.S., offshore winds are really strong, and generate a lot of energy. Some of the most recent offshore wind farms even utilize floating installations. Combined with the deregulation of electricity markets, these distributed sources of clean energy are creating new possibilities for customers in some regions of the U.S. to power their homes with electricity sourced from wind or solar energy. CleanChoice Energy offers a good option for consumers who seek an easy way to source their electricity from clean sources. To learn more about how renewable energy is the way to a cleaner energy future, plus what makes CleanChoice Energy different from other electricity suppliers, download “Clean Energy 101: A Renewable Energy Explainer.” And read more in our introductory article about how renewables keep growing across the United States and how this increased choice allows consumers to choose clean energy at home.